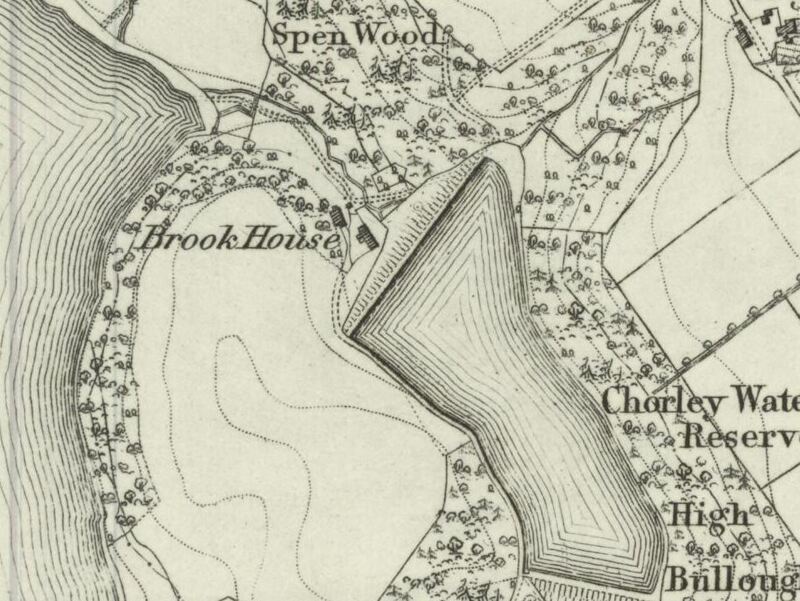 Brook House is situated by High Bullough Reservoir, which was also known as Chorley Reservoir. An idyllic spot in a secluded valley by a small reservoir no longer in active service. 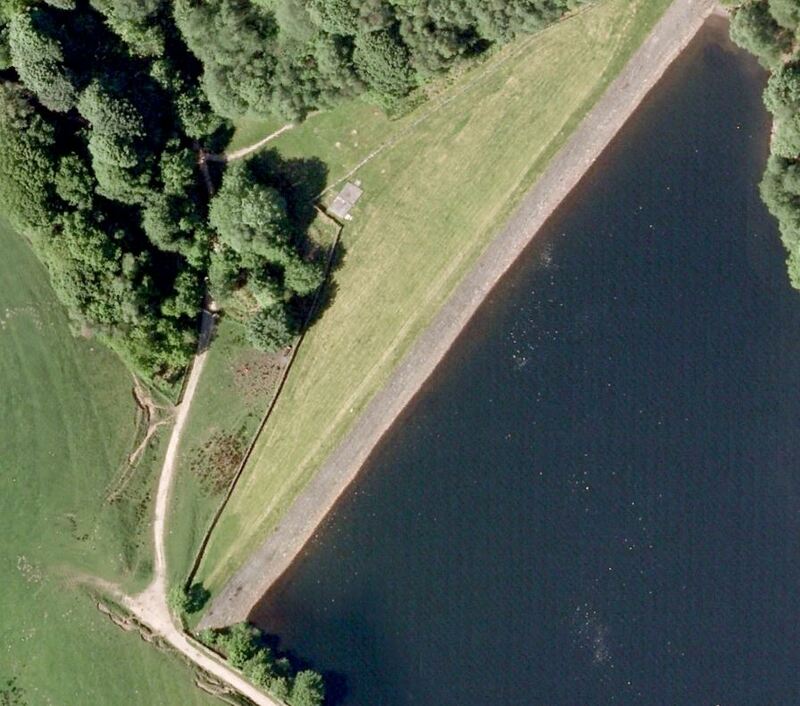 There is another Chorley Reservoir which is on the slopes of Healey Nab near the M61. Thank you to Paul Lacey for this superb photograph, as with all images please click to enlarge. 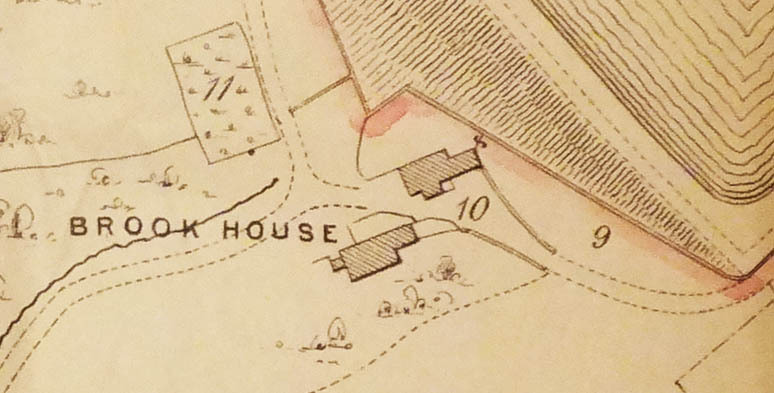 Brook House was still standing in 1881, despite being in the midst of all the reservoir activities. In terms of inhabitants of the property, a John Morres was known to be living there In the early 1700s. He was one of the first inhabitants, as the property was known to have been created during or slightly before the year 1673. He, along with several other trustees, paid £ 2. 10s. 0d. to a John Andrews of Little Lever for land overlooking Rivington Village Green. John Morres, still living at Brook House, took over the land with the other trustees. They founded the Presbyterian Chapel on the land they had bought. The chapel was to be for free religious worship by Protestants dissenting from the Church of England. The witnesses were Ra. Ainsworth, minister of the chapel, Jas. Brownlow and Peter Anderton. The other trustees were the Rt. Hon. Hugh, Lord Willoughby, Baron of Parham, John Bradley of Rivington, schoolmaster, Thomas Waddington of Heath Charnock, gentleman, Alexander Waddington, his son and heir, John Brownlow the eldest of Rivington, yeoman, Richard Brownlow his son and heir, James Worseley of Rivington, yeoman, Thomas Bromiley of Sharples, chapman, and Robert Anderton, son and heir of Thomas Anderton. 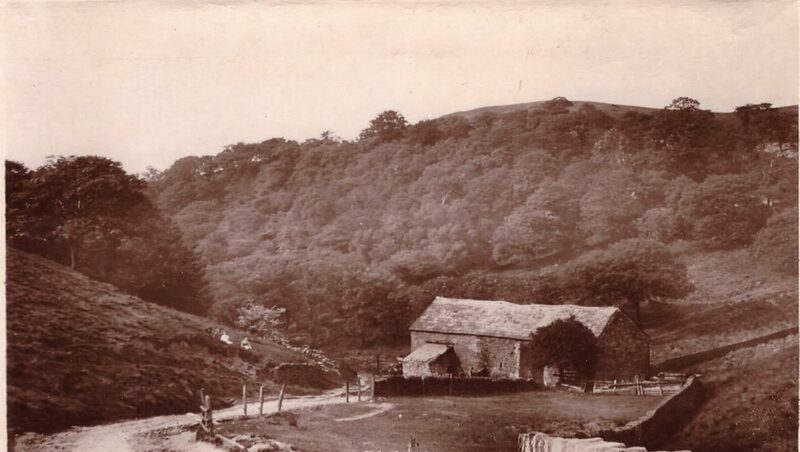 Whereas a Chappel or Oratory of four bayes of building is lately erected and built by several Protestants dissenting from the Church of England upon a certain plot or parcel of ground lately severed and enclosed off and from a large close of ground situate and lying in Rivington aforesaid, containing 40 yards in length and 30 in breadth or thereabouts, being the inheritance of the said John Andrew, intended to be a place for Religious Worship only, and for an assembly and meeting of a particular Church or Congregation of Protestants dissenting from the Church of England, for the free exercise of their Divine Worship therein, and that the present and successive Minister and Ministers or Teachers of the said Congregation shall be Protestant Minister or Ministers of the Gospel dissenting from the Church of England, but qualified according to an Act of Parliament made in the first year of our late Sovereign Lord and Lady William and Mary of England, King and Queen, intituled an Act for exempting their Majesties’ Protestant Subjects dissenting from the Church of England from the penalties of certain laws, or that shall be qualified according to some other Act of Parliament or Law that shall hereafter be made and constituted in favour and allowance of such dissenting Protestants. A closer look at the auction house map. Despite John Morres being associated with the formation of the Presbyterian (Non-Conformist) Chapel in 1703, there is a substantial gravestone for a John Morres of Anglezarke in the Parish churchyard overlooking the reservoirs. This shows that a John Morres of Anglezarke died on the 15th October, 1703, at 58 years of age. It appears, therefore, that Mr. Morres died before the Presbyterian Chapel was completed. John, a commoner who farmed his own land, was therefore likely born in 1645. He had a daughter, Ann, who died on the 9th October, 1678, probably not even a teenager. It is likely that John, his wife, and his daughter, Ann, all lived at Brook House together. The lot above does not list a cattle barn (shippon) specfically, though it is known that there was one earlier in 1835. 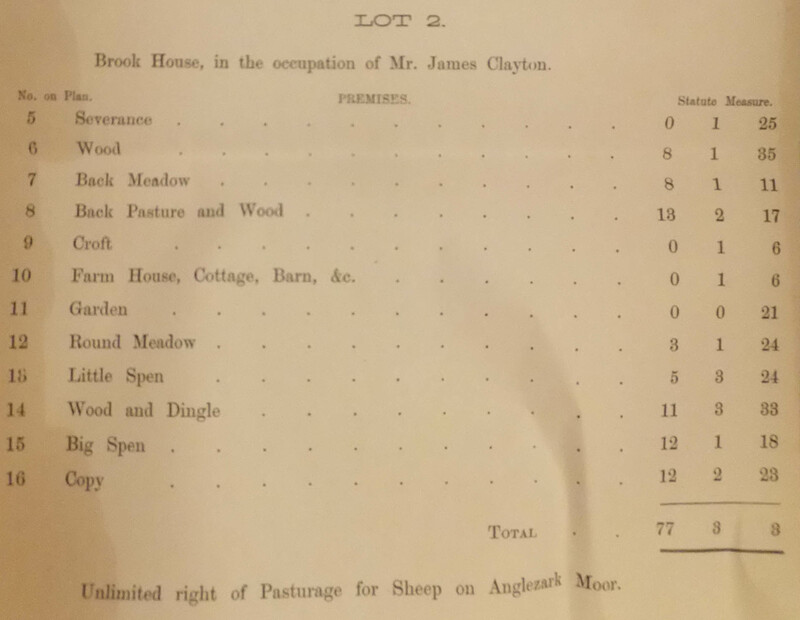 Similarly, the 1851 and 1861 census’ listed a shepherd living here. Visiting Chorley Library, I accessed a huge archive box in the Reference section on the First Floor. In it where rafts of original, very old papers, including the plans for Brook House, along with Lee House which has it’s own page. 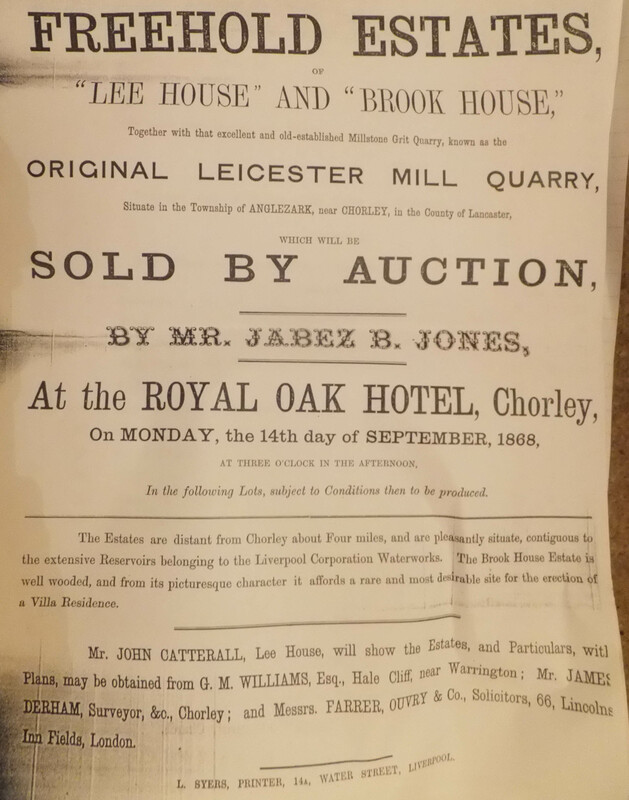 Brook House, and Lee House, up for auction. 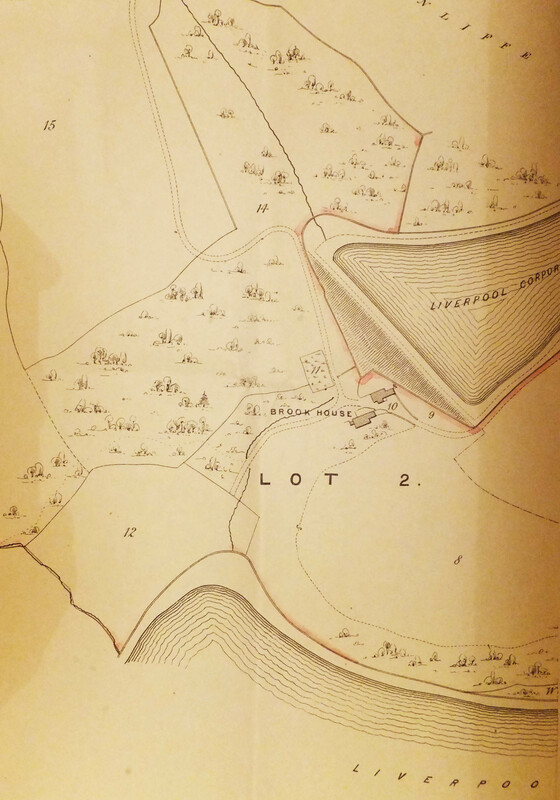 The estates are distant from Chorley about Four miles, and are pleasantly situate, contiguous to the extensive Reservoirs belonging to the Liverpool Corporation Waterworks. The Brook House Estate is well wooded, and from its picturesque character, it affords a rare and most desirable site for the erection of a Villa Residence. The building of High Bullough Reservoir commenced in 1850, by the Chorley Water Company. The construction was headed up by John Frederic Bateman. Seven years later, the Liverpool Corporation landed in town and started construction of the much larger reservoirs we see around. Nonetheless, a further 11 years later, we find the properties of Brook and Lee House up for sale as a going concern. The property was inhabited by quarrymen in 1881. 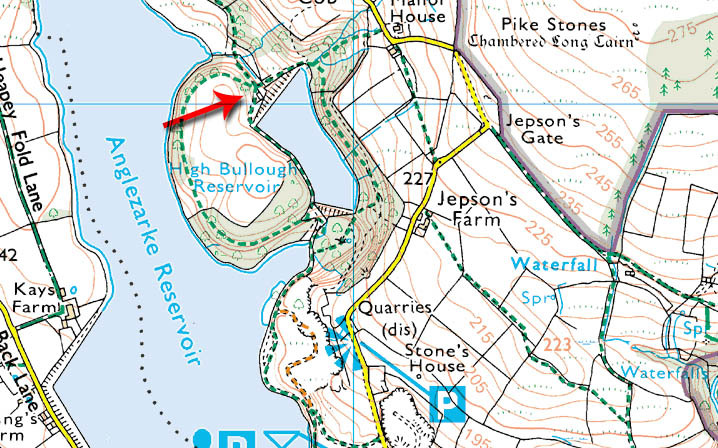 The area is now part of a nature reserve, incorporating the reservoir. I have seen deer around here, but sheep are the more common occupants!